Length: 17k words (55 pages) approx. Brandon Marshall, in Paris for his twin sister's wedding, has a fling before the big day. At the end of a whirlwind week of discovering each other, Brandon and his lover place a scarlet lock on the Love Lock Bridge. Follow Brandon through six years of letters - to the citizens of Paris, on everything from how to make love, to eating passionate fruit - and to the lover, who is now his brother-in-law. 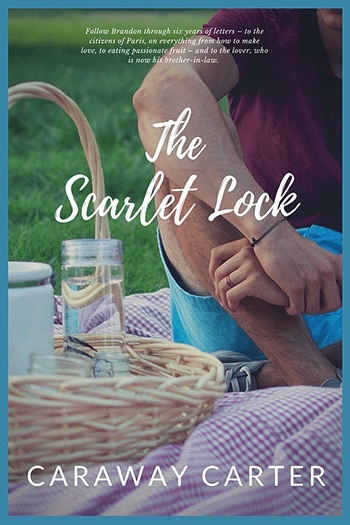 The locks are being removed, the bridge refitted... What will be the fate of The Scarlet Lock?